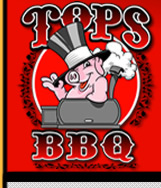 The Official TOPS BBQ Facebook Fan Page! The Official TOPS BBQ Twitter! The Official TOPS BBQ Instagram! Find out more about barbecue, teams, and events locally and nationally. The Kansas City BBQ Society. Everything there is about BBQ can be found here. Cooking on the famous Weber Bullet and great recipes.